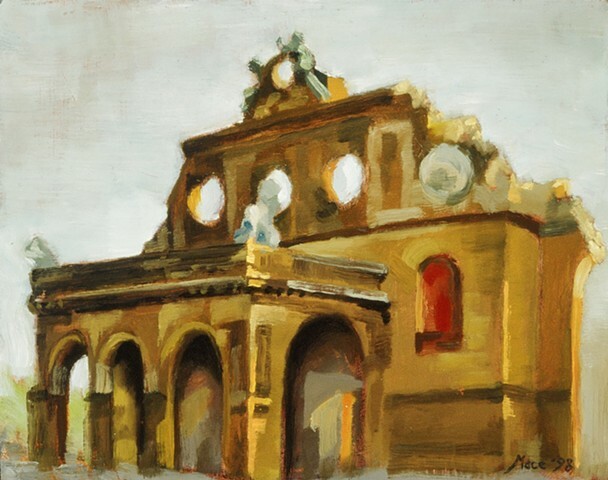 Anhalter Bahnhof was the biggest train station in Europe until it was bombed during the WWII. The facade is all that's left, and has been left to stand as a war memorial. It's located near Potsdamer Platz. Reunification has rendered parts of Berlin unrecognizable to me now. It's a good thing, I suppose, but the Berlin of the Cold War is the quintessential Berlin, where World War Two didn't really end until November 9, 1989.